Breakdown: Hurd ran the point for the Expressions Elite and did a solid job in the controls. He directed traffic while dropping dimes but also was able to get into the scoring column himself while averaging double figures. He was solid all around the board. 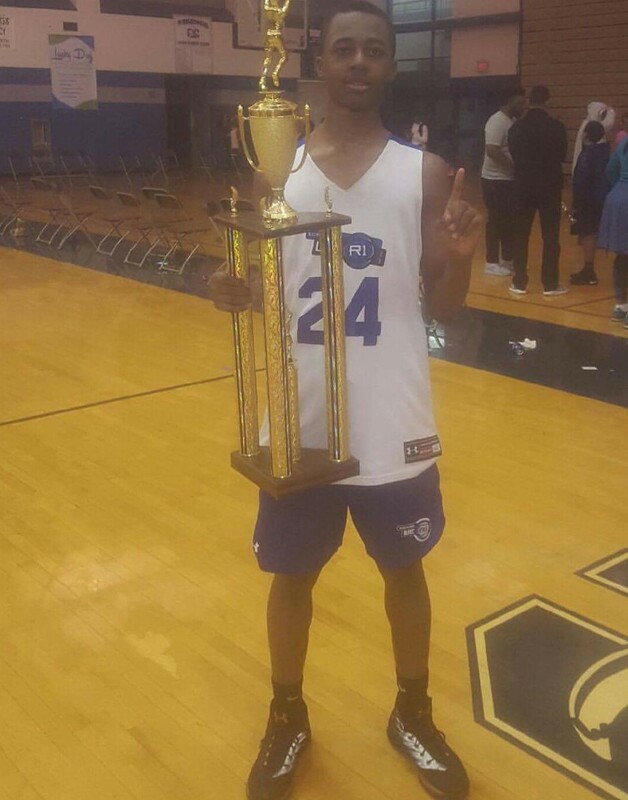 Basketball Spotlight Alum Leondre Washington has decided to take his talent to Robert Morris University. Washington begun his Spotlight career with the Riverside Hawks before having stops with legendary Team Battle. Team Scan and finally NJ Playaz. He went on to high school to play with Teaneck and Roselle Catholic while helping the Teaneck Hilltoppers win the NJ Group 3 State Championship. Basketball Spotlight would like to congratulate Leondre and his family on their commitment to Robert Morris and wish him luck in the future. The Basketball Spotlight 6th Grade Division brought out the best talent in the region. Here’s our first look at the Top Performers from this age group. Jomani Wright Guard (Riverside Hawks) – Wright might have been the best pound for pound player in the entire event. He plays hard on both ends of the floor. On the offensive end floor you can compare this pint size lefty guard to Isaiah Thomas. Jo Jo can get buckets in a variety of ways either attacking the basket and hitting his floater or stroking a 3ball from distance. He exploded for 25 points in the championship against New Heights. Breakdown: Wilson is a big shooting guard that can also handle the point guard duties. His outside shot is one of his biggest weapons as he was able to drain treys from all around the floor. I also like his separation off the bounce and finishing ability. He caught our eye and commanded our attention in Atlantic City. Breakdown: We R 1 (Blue) won the title and Caulk carried the way in the finals. The smooth shooting wing scored the rock and showed he could make a living at the charity stripe. He finished with 22 markers and 10 came from the free throw line. You can see his game developing right in front of our eyes. His confidence continues to grow in each outing. 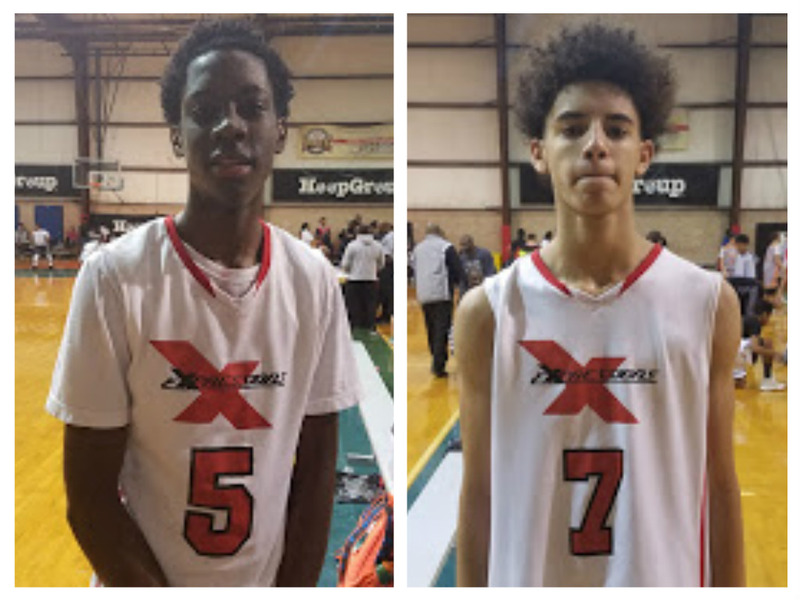 AC Showcase Highlights: Sellers Stroking The Long Ball! We talked about Antonio Sellers shooting the rock at the AC Showcase. He heated up especially against New World in the semi-finals. Check out the highlights below. Stay tuned as we bring you more action from the AC Showcase. Sorry for being pretty late but I’m signing in to welcome you all to my sixth diary entry for Bballspotlight. This week went by pretty fast, and I’m most certainly exhausted after my second Track Meet. All I could think about was the first EYBL session in Virginia. It was more of time where I could learn my strengths and weaknesses while playing up grades. Also, learn from other top players from other EYBL teams on the 17u circuit. 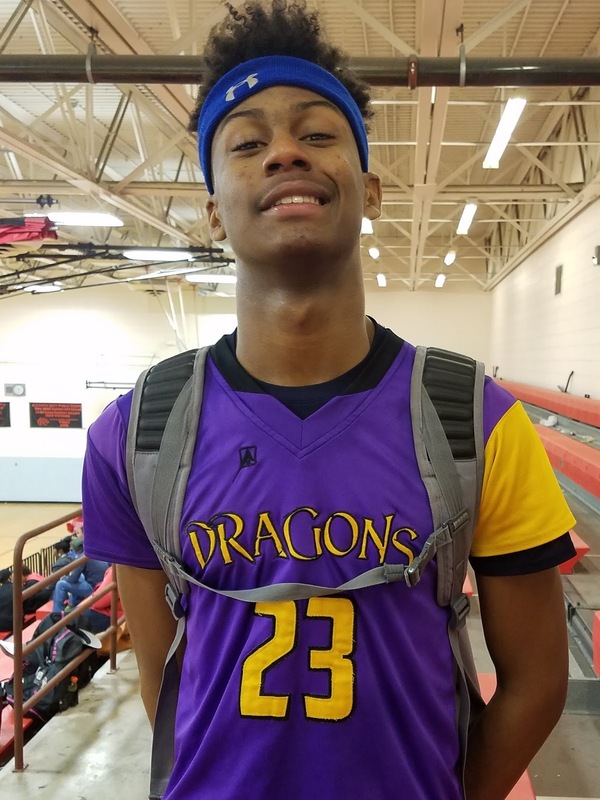 Basketball Spotlight Memorial Day Classic Getting Early Interest! The Basketball Spotlight Memorial Day Classic is garnering early attention. Please make sure you register early because a sellout is imminent. The Basketball Spotlight AC Showcase 7th Grade Division has some serious talent and some fresh faces. Here’s our first look at the Top Performers from this division. 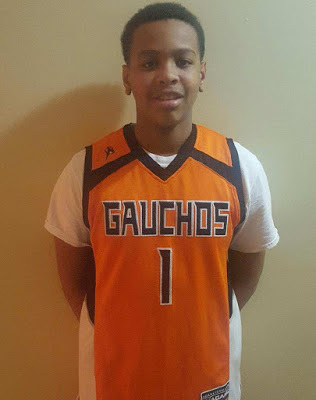 Antonio Sellers Forward (NY Gauchos)- The forward continues to show why he’s one of the best players in the country. At times he plays the point forward position and can either score or make the correct pass. He’s seems to have improved in quickness and explosiveness when attacking the basket and if his jump shot is falling his game goes to another level. We made Isaiah Briscoe comparisons a couple of years ago but now his size and style of play reminds me of a young Kyle Anderson. Franscisco Mattei Forward (NY Gauchos)- No many goes as hard as Mattei on this level. He attacks the basket relentlessly off the dribble while drawing contact. He lived at the charity stripe this weekend. He demonstrates great body control and strength to finish through contact. Issac Gonzales Guard (NY Gauchos)- Gonzalez was a great help for the Gauchos as he had a solid weekend. He gave the Choz a threat from the perimeter which helped stretch the defense. He played well off the Gauchos attacking guard style. Dariq Whitehead Forward (NY Lightning)- No matter what uniform Whitehead shows up in he does damage. 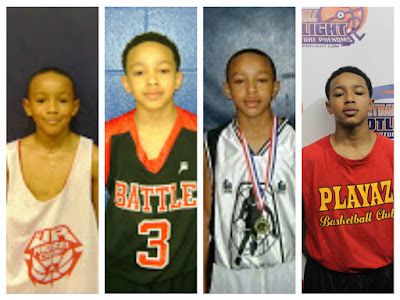 The natural wing once again showed he is one of the elite players in the country. He had best outing against one of his former squads with 26 points versus Team Magic. This kid commands attention on the floor and he should jump into the national spotlight this summer. Jaquan Sanders Guard (NY Lightning)- The Lightning made it to the final four and this kid’s shooting was a major reason. Sanders has a mean ratchet and will let it go from anywhere. He really showed his range in the semifinals by nailing 6 treys in their loss to WE R 1. He can really stroke it. Darrell Victory Guard (NY Lightning)- The quick guard runs the point but can also get into the scoring column. He has breakdown ability and gets into the lane with ease. If his jumper or floater is dropping he’s much more effective on the floor. 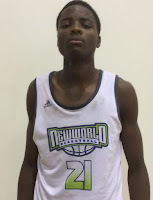 Rodney Rice Guard (New World)- Rice was cooking in Atlantic City. He had the scoring going from all three levels. He’s so mature with the pill and can pull it from the parking lot. 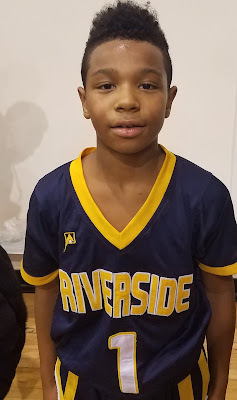 He pumped a game high 25 versus Expressions and another 24 versus Riverside Hawks. He would have received the MVP Award if we were giving one out. 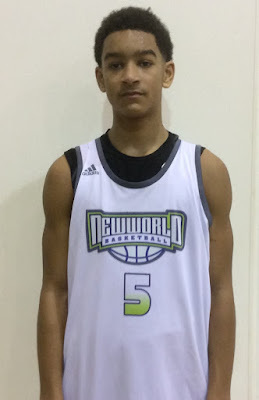 Henry Adissa Forward (New World)- Adissa continues to develop especially on the offensive end. He catching the rock better and is showing good footwork on the post. Defensively, he still was able to block and alter shots while eating rebounds all weekend. He’s a player to watch from the DMV area. Amir Dade Guard (New World)- Dade had his best outing in the finals. The lefty is very good at finishing through contact. He’s very strong as a ball handler and usually takes care of the rock. He also came up big when the lights were bright. He’s also a constant pest on defense. Knasir McDaniels Guard (New World)- McDaniel’s looked the most comfortable during the finals as he was able to score and set teammates. 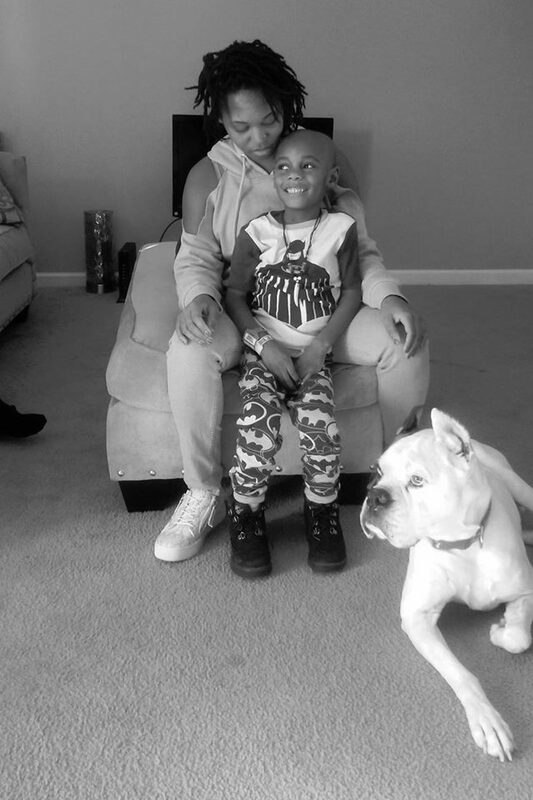 He’s been a proven winner over the years and now seems like he has a home with New World. He finished the game with 14 markers. Roddy Gayle Forward (We R 1)- Gayle was probably the best scorer in the event regardless of class. The lanky wing finishes with ease and very often especially in transition. His size and ball handling ability makes him difficult to contain. He averaged over 20 points a contest. Kid has a chance to be something special down the road. Chance Westry Guard (We R 1)- Westry was another pleasant surprise. I haven’t seen him in years but he made sure I took notice this weekend. He kept defenders at bay with mean hesitation dribble and moves that create space. He carved defenders off the bounce while also knocking down the deep ball. He also averaged more than 20 points a contest over the weekend as they knocked off a few top teams in the region. He is on the verge of having a breakout. Phil Cook Forward (We R 1)- Cook is a tough inside player and a plays hard on both ends of the floor. He was able to be effective by using his strength and scoring touch inside. He brings toughness to this squad which will be needed down the road. AC Showcase Highlights: Clarke and Reyes Show Out! 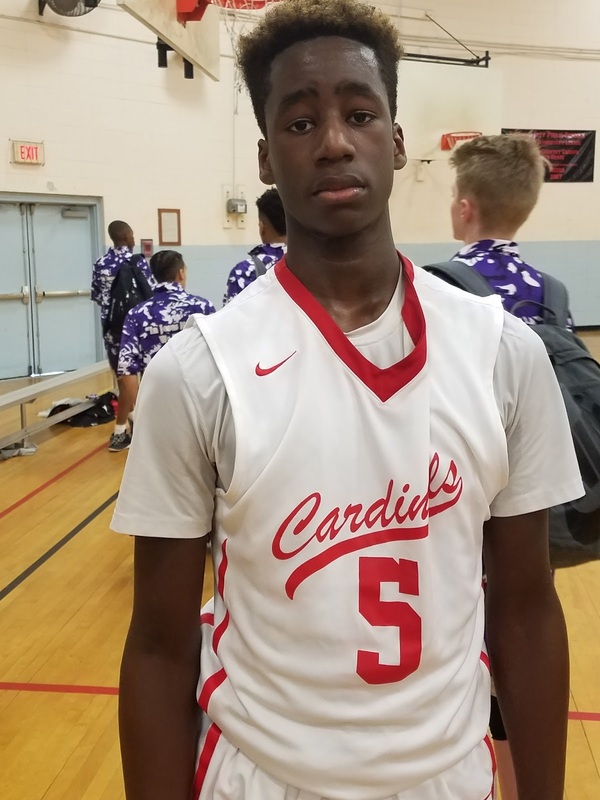 AC Showcase Highlights: Browne Heats Up From Downtown! The NY Dragons took home the top crown and Everton Browne helped them along the way. He heated up during the quarterfinals against the NY Gauchos. He was 6 for 8 from behind the arc and finished with 18 points in the victory. Check out his highlights below. 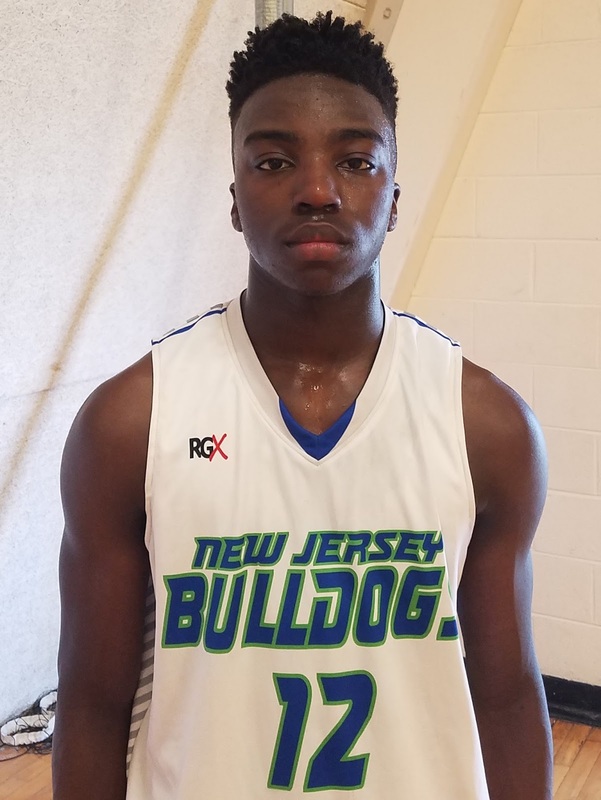 The Basketball Spotlight Atlantic City Showcase 8th Grade Division was loaded with talent. Here’s our final look at the Top Performers from that division. Adrian Griffin Forward (PSA Cardinals) – Griffin is a long wing forward that can do a variety of things on the court. What caught our eye is his nice size and length and after watching him we feel his potential is through the roof. Griffin plays hard and runs the floor in transition finishing at a high level. He rebounds the ball very well and is a really good defender. 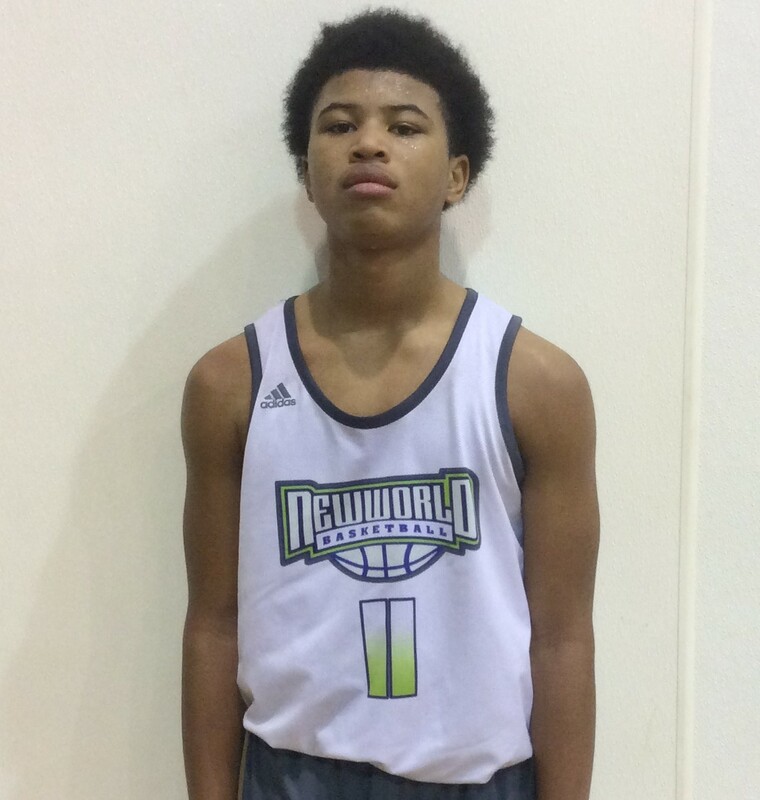 We like that he can stretch the floor and can knock down the 3 ball versus just being able to drive to the basket. Adrian finished with 15 points including three 3 pointers in the game we watched. The Basketball Spotlight Atlantic City Showcase 8th Grade Division was loaded with talent. Here’s our second look at the Top Performers from that division. 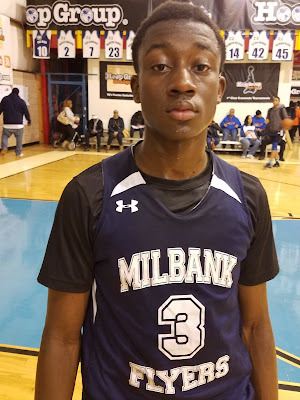 Rayvon Weir Guard (Milbank) – This kid deserves much respect as he is a winner. 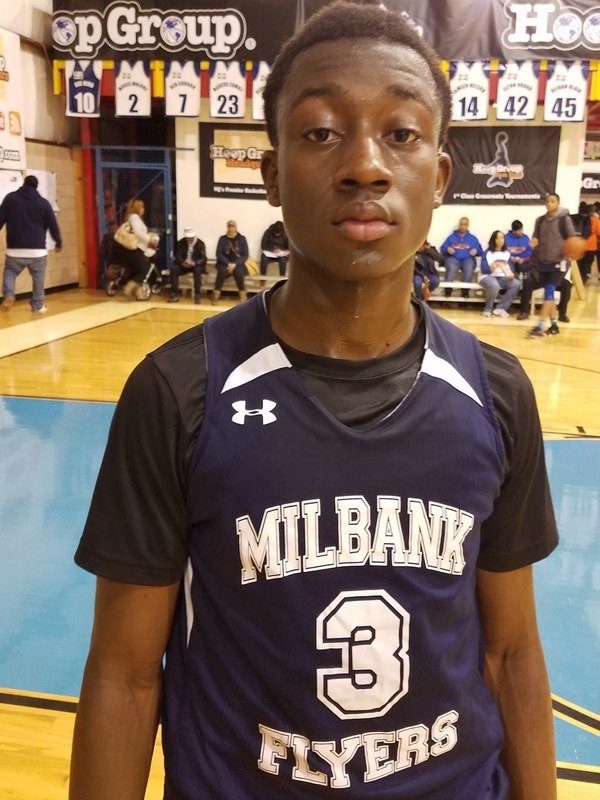 Milbank continues to surprise people making it to the Final 4 in all the Spotlight events but now we can see why. 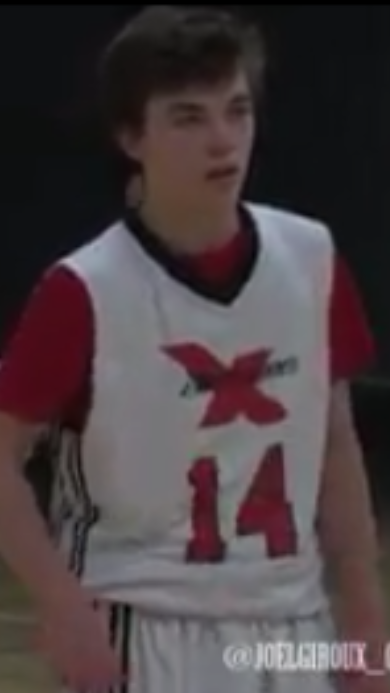 Weir is a tough nosed strong compact combo guard that is wired to score. He can turn the corner off the pick or just simply break down his man one on one. He is always putting pressure on the other team because he is in attack mode trying to get to that cup. His athleticism allows him to finish high at the rim in transition or hang in the air and challenge defenders when getting to the rack in the half court. Jelly Fam is alive and well at Milbank and Rayvon got next. 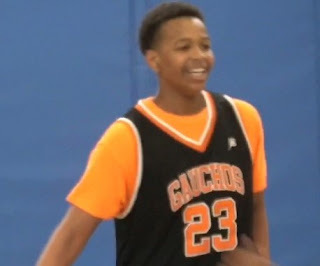 AC Showcase Highlights: 7th Grader Adissa Catches Follow Up Slam! AC SHOWCASE HIGHLIGHTS: NOAH HARRIS NEVER NERVOUS! 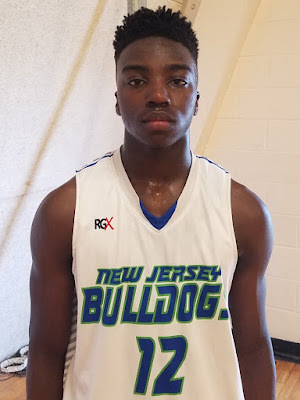 Noah Harris is the newest addition to the NJ Bulldogs & might be the perfect fit as he lead his team to an orange division championship appearance falling short of victory to the NY Dragons. Harris had definitely solidified himself as a top guard in the region and is somebody who has been killing all season long. Stay tuned as we have more highlights from the AC Showcase. 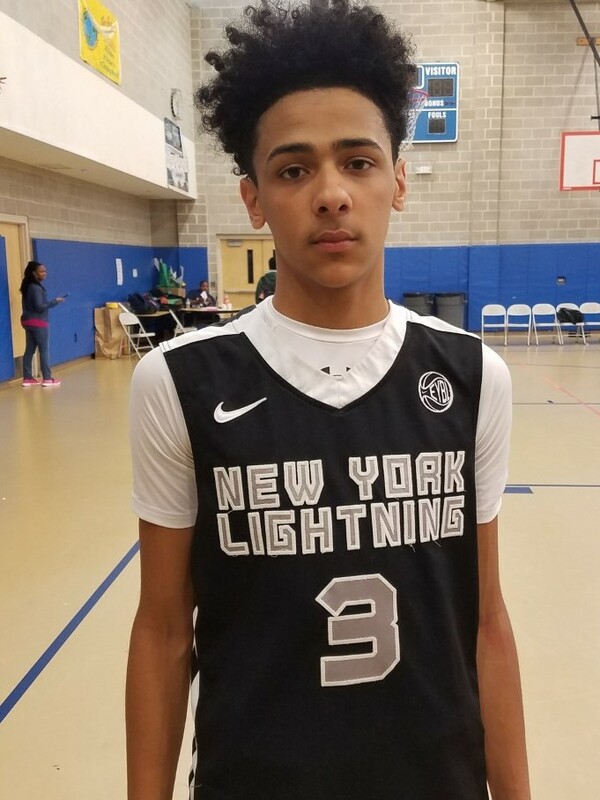 Jalen Bradberry made his Spotlight debut with the NY Lightning and did his thing. The point guard showed court vision, poise and long range on his jumper. Check out his highlights and stay tuned as we bring you more highlights from the AC Showcase. 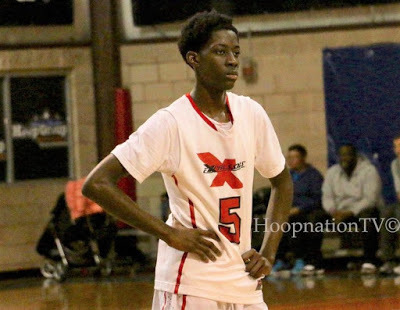 The Basketball Spotlight Atlantic City Showcase 8th Grade Division was loaded with talent. Here’s our first look at the Top Performers from that division. Jai Smith Forward (NY Dragons) – This past weekend Smith was the most dominating big man we saw. 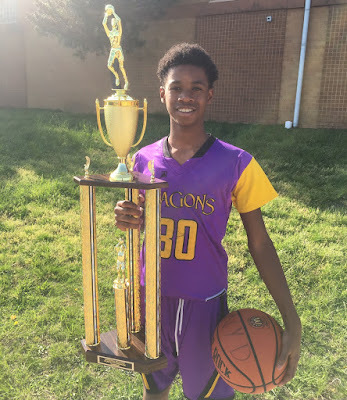 He anchored the middle for the Dragons blocking and rebounding everything which is why his team hoisted the championship trophy on Sunday. Jai has a high motor and plays hard on both ends of the floor. He is very unselfish as he is a good passer out of the post when he draws the double team or isn’t in a comfortable position to score. Smith finishes at a high level around the basket and can knock down his free throws. He finished with a game high 25 points in the championship making 7 of 9 free throws. 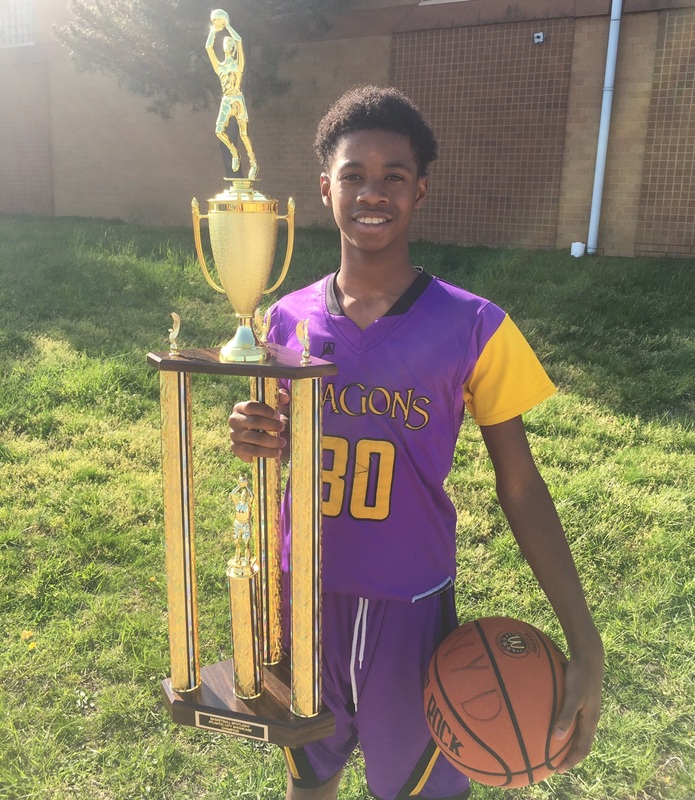 Basketball Spotlight Atlantic City Showcase 8th Grade Orange Division Championship Recap: Brooklyn Rens Claims Crown! Brooklyn Rens flexed their muscles as they ran past 59-44 to win the Basketball Spotlight Atlantic City Showcase 8th Grade Orange Division Championship. Basketball Spotlight would like to congratulate both teams for making it to the finals. Stay tuned as we bring you more coverage from the Atlantic City Showcase. Basketball Spotlight Atlantic City Showcase 8th Grade Blue Division Championship Recap: We R 1 Blue Grabs The Banner! We R 1 (Blue) made their presence felt with a victory over Team ICE 49-36 to win the Basketball Spotlight Atlantic City Showcase 8th Grade Blue Division Championship. Basketball Spotlight would like to congratulate both squads for making it to the finals. Stay tuned as we bring you more coverage from the Atlantic City Showcase. 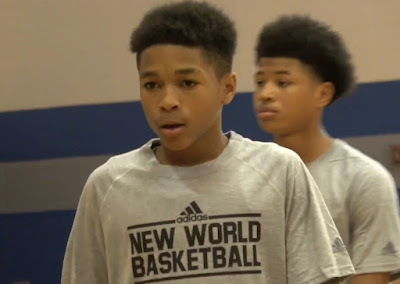 Basketball Spotlight Atlantic City Showcase 7th Grade White Division Championship Recap: New World Continues Dominance! New World Unlimited used a stifling defense to defeat We R 1 53-45 to win the Basketball Spotlight Atlantic City Showcase 7th Grade White Division Championship. Basketball Spotlight would like to congratulate both teams for making it to the finals. Stay tuned as we bring you more coverage from the Atlantic City Showcase. Basketball Spotlight Atlantic City Showcase 7th Grade Blue Division Championship Recap: Team Final (Red) Holds On! In a battle to the end Team Final (Red) defeated New World (Blue) 37-34 to win the Basketball Spotlight Atlantic City Showcase 7th Grade Blue Division Championship. Basketball Spotlight would like to congratulate both teams for making it to the finals. Stay tuned as we bring you more coverage from the Atlantic City Showcase. What's going on Basketball World? Terrence Clarke is signing in to welcome you all to my fifth diary entry of my BballSpotlight Diary. This week went by pretty slow but sped up due to my preparation for Atlantic City tournament that kept me on track of my school work for the week. Also, my first Track Meet that was held on Wednesday and 3 test that I had for the week. Basketball Spotlight Atlantic City Showcase 6th Grade White Division Championship Recap: Hawks Fly High In Atlantic City! Riverside Hawks used a pressing style and balanced attack to defeat New Heights 64-46 and win the Basketball Spotlight Atlantic City Showcase 6th Grade White Division Championship. Basketball Spotlight would like to thank both teams for making to the finals and Riverside Hawks for taking the crown back to the Big Apple. Stay tuned as we bring you more coverage from the Atlantic City Showcase. Basketball Spotlight Atlantic City Showcase 6th Grade Blue Division Championship. Recap: We R 1 Lehigh Valley Wins The Chip! In the battle of the WE R 1 programs, Lehigh Valley used it's size and outside shooting to defeat Delaware 55-40 to win the Basketball Spotlight Atlantic City Showcase 6th Grade Blue Division Championship. Basketball Spotlight would like to congratulate both teams on making it to the finals. Stay tuned as we bring you more coverage from the Atlantic City Showcase. Basketball Spotlight Atlantic City Showcase 5th Grade Orange Division Championship Recap: New World Wins Thriller! In the perhaps the most thrilling game of the weekend, New World hit a buckets in the finals seconds to defeat New Heights 49-48 to win the Basketball Spotlight Atlantic City Showcase 5th Grade Orange Division Championship. Basketball Spotlight would like to congratulate both teams for making it to the finals and giving us a show. Stay tuned as Basketball Spotlight brings your more coverage from the AC Showcase. Basketball Spotlight Atlantic City Showcase 5th Grade Blue Division Championship Recap: Team Delaware Does Their Job! Team Delaware used it's speed and tenacious defense to defeat D School Elite 44-32 to win the Basketball Spotlight Atlantic City Showcase 5th Grade Blue Division Championship. Basketball Spotlight would like to congratulate both teams for making it to the finals and Team Delaware for taking the championship back to the First State. Stay tuned as we bring you more coverage from the AC Showcase. Basketball Spotlight Atlantic City Showcase 4th Grade Championship Recap: Philly Triple Threat Pulls Through! After a tight first half Philly Triple Threat turned it up in the second stanza to defeat NY Gauchos 42-28 to win the Basketball Spotlight Atlantic City Showcase 4th Grade Championship. Basketball Spotlight would like to congratulate both teams for making to the finals and Philly Triple Threat for winning the title. Stay tuned as we bring you more coverage from the Atlantic City Showcase. The Basketball Spotlight Atlantic City Showcase schedules will be released today. Please make sure you read the brief instructions below concerning the tournament. 1. DUE TO THE AMOUNT OF TEAMS WE ARE NOT ABLE TO HONOR SCHEDULE REQUEST. 2. ALL COACHES OF EACH TEAM WILL NEED TO REPORT TO ATLANTIC CITY HIGH SCHOOL BEFORE THEIR FIRST GAME TO GET THEIR WRISTBANDS. BOTH COACHES WILL NEED TO SIGN IN BEFORE RECEIVING THEIR BAND. YOU WILL NOT BE ALLOWED TO ENTER ANY OTHER GYM WITHOUT YOUR BAND. MULTIPLE BANDS WILL NOT BE GIVING TO A SINGLE COACH. 3. PLEASE MAKE SURE YOU ARE ON TIME FOR YOU GAMES, TRAVEL EARLY BECAUSE IT’S A HOLIDAY WEEKEND. 4. PLEASE MAKE SURE YOU HAVE A PLAYER DOCUMENTATION ON FILE IN CASE OF PROTEST. The Basketball Spotlight AC Showcase 8th Grade White Division Schedule is listed below. Please make sure you are on time for your games. The Basketball Spotlight AC Showcase 8th Grade Orange Division Schedule is listed below. Please make sure you are on time for your games. The Basketball Spotlight AC Showcase 8th Grade Blue Division Schedule is listed below. Please make sure you are on time for your games. The Basketball Spotlight AC Showcase 7th Grade White Division Schedule is listed below. Please make sure you are on time for your games. The Basketball Spotlight AC Showcase 7th Grade Orange Division Schedule is listed below. Please make sure you are on time for your games. The Basketball Spotlight AC Showcase 6th Grade White Division Schedule is listed below. Please make sure you are on time for your games. The Basketball Spotlight AC Showcase 6th Grade Blue Division Schedule is listed below. Please make sure you are on time for your games.